Some of our favorite Nickelodeon stars had a sensational and slimetastic time at the first ever UK Nickelodeon Slimefest! The extraordinary Kira Kosarin, Isabela Moner, and Jack Griffo had a spectacular time saying hello to Big Ben and they all headed out for a fantastic time at the Nickelodeon UK Slimefest. Kira Kosarin looked so beautiful rocking a blue, white, and black, open-shoulder dress and had a super cute “OMG” clutch with her. Isabela Moner looked stunning wearing a mauve-colored, two piece attire. Jack Griffo looked awesome wearing a lightning bolt shirt and lime green sneakers at the event. The sensational trio – Kira Kosarin, Isabela Moner and Jack Griffo had a very hectic time in London from doing a lot of press, being on BBC’s Blue Peter, and even taking some time to sight-see. Isabela Moner shared the excellent photo as seen below through her Twitter account. Jack Griffo shared the awesome video as seen below on his Twitter account. 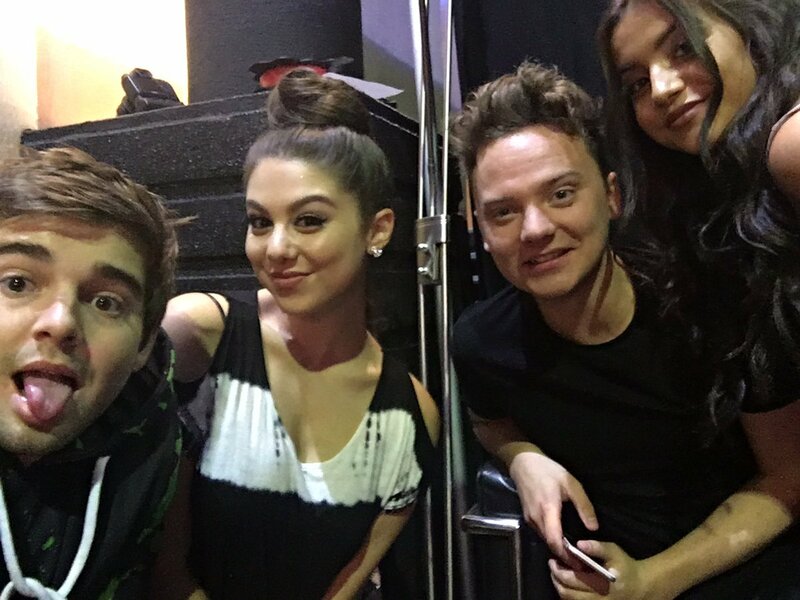 I’m so glad that Isabela Moner, Kira Kosarin and Jack Griffo had a terrific time in London for Nickelodeon’s Slimefest! Check out more photos below of Jack, Isabela and Kira at the Nickelodeon Slimefest in London below! Previous Article: Sabrina Carpenter Has Two, Exciting Big Announcements – Her New Album And Tour Dates!